It’s 2018 but feels like many hideous fashion moments through the decades made it’s incongruous return this week via the 2018 Seoul Fashion Shows. 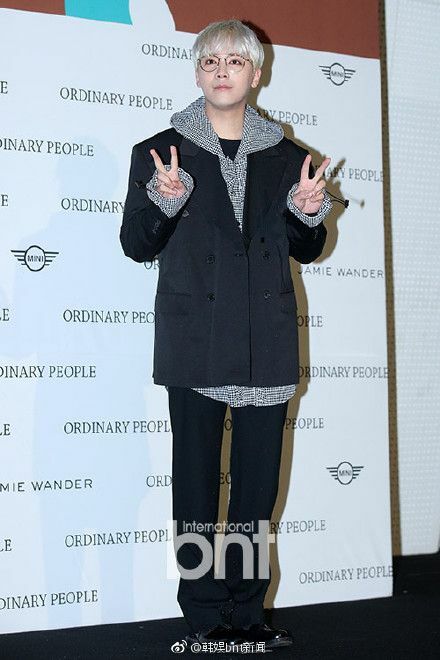 Normally stylish Gong Hyo Jin attended two shows and she was the least horribly decked out among many of her fellow star attendees, and the outfit above is just dorky more than anything. Some fashion elements to spot are bell bottoms on women, wide leg trousers for men, oversized jackets on men and tops for women, among other styles that hurt my eyes just to look at. I’m hopeful these are just experimental designs as I can’t imagine normal folks shilling for any of these outfits, and hopefully the stars had fun attending and supporting the local Korean designers. Many of them just throw together whatever semi-fashionable outfit they can from clothes in their laundry bin for their own country’s premiere Fashion shows but if it was a foreign fashion show, they’d go all out. It’s either that or some don’t even show up to support local Korean designers. I’m very well aware of the notoriety of certain fashion weeks but the disparity is just too much. It’s fashion. And it’s something that I don’t always understand. 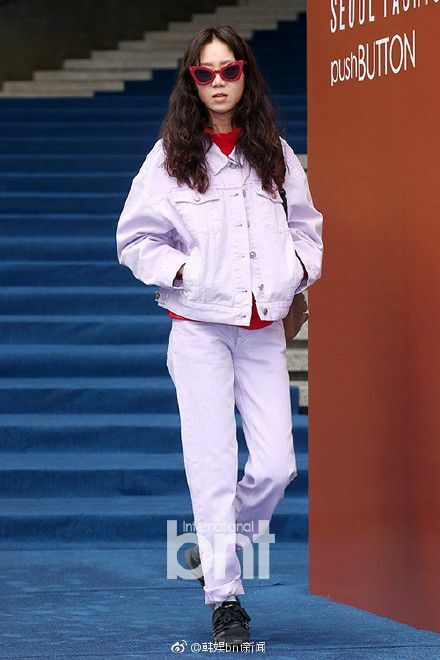 Gong Hyojin looks cool by the way. Oh my gawd… Fugly indeed with a capital FUGLY. I thought Gong Hyo Jin looks bad until I scrolled through the rest. They really are competing for most hideous outfit. Gong Hyo Jin is still a strong contender. She looks like she’s wearing an apron in the last picture. Lol. Exactly what I thought. What worst is that the way she posed as if thinking the whole ensemble was cool. I think they do this on purpose. This is just unbelievable. If it is not on purpose, they should fire their stylists. Or Shoot them all? WhAt a hideous lot. Sacrificing everything for the sake of fashion. Oh my! Ms. K you were being kind. I’m all for supporting local fashion designers but surely there are better choices than these lot? Its like a parade of Home Econ project fails. This is reason why I never understand fashion. The only thing running in my mind on all these photo is FASHION POLICE! FASHION POLICE! Umm it reminds me of the ‘Emperor’s New Clothes’ seriously is this the best they can do? I love Asian fashion shows and who’s who’s in attendance but this is wrong on so many levels. I think I spotted outfits my grandmother use to wear back in the day! Geez that’s where they ended up? Yep Mz Koala you were ultra nice in your critique. Somehow only GHJ can pull off the fugly styles. The rest are really atrocious. but al least all the women have decent make up..
seriously, they need to tone down their fondation on men. too thick and white..
Fugly is the best word to describe this fugliness. I hope none of them think they’re cool or something. Boy, they’re going backwards with fashion. They did dirt to Gong Hyo Jin. Lucky her body proportions and height are great so she can pull off any style. She seems to love the funky fresh look instead of white dresses and loose blouses. Everybody look a mess, lol! I love Gong Hyo Jin! What a Queen! The woman is bold, fearless and doesn’t give a f*ck on what people will think or say. She doesn’t follow trends. Those K-celebs should just leave funky, dorky and eccentric to Gong Hyo Jin. wow they being extra or what…!! but for reals Koala’s being too nice! more power to them being out and seen in public wearing those hideous looks! They need to fire all of their stylists!!!! I thought HJW had the worst stylists until I saw this mess of an attempt at fashion :’( WAE!! !